Marijuana enthusiasts are often like fresh, natural buds. So how do you not contaminate this with butane lighters or torches? The answer – a solar hit. Marijuana enthusiasts are often concerned with words like organic, natural, healthy, and free. So once you have your hands on some free, all-natural organic weed you probably do not want to contaminate it with butane lighters or torches. The answer – solar hits. Nothing is more natural than using sunlight to create fire. Think back to when you were a kid and your parents probably wouldn’t allow you to play with lighters, or fire in general. But they did allow you to have a magnifying glass to hone your detective skills. However, like most youngsters (especially boys), that magnifying glass was eventually put to use to harness the sun’s fire producing energy. The magnifying glass became an ant’s worst nightmare in the hands of mischievous kiddos. No longer is the magnifying glass a tool for detectives and ant assassins. The same kids who once used the magnifying lens to lay siege on tiny bugs are now using the lens to light their marijuana. If you want to start taking solar hits here is what you need. Take the magnifying glass; hold it at an angle and as the sun passes through you will see a concentrated dot of sunlight coming through the lens. Direct this dot into the center of your bowl or bong, or on the tip of the joint or blunt you are trying to light. Very quickly (depending on the dryness of your herb) you will see ignition. 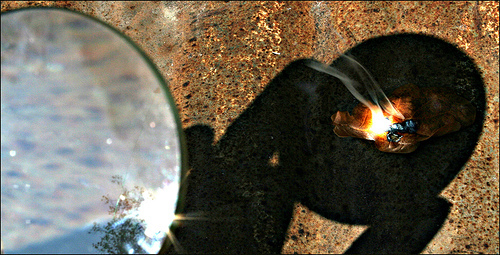 Smoke and enjoy the all natural solar smoke. If you are without a lighter, the sun will provide you with the energy necessary to create fire in a pinch. The only problem is, you are more likely to be without a magnifying glass than a lighter. 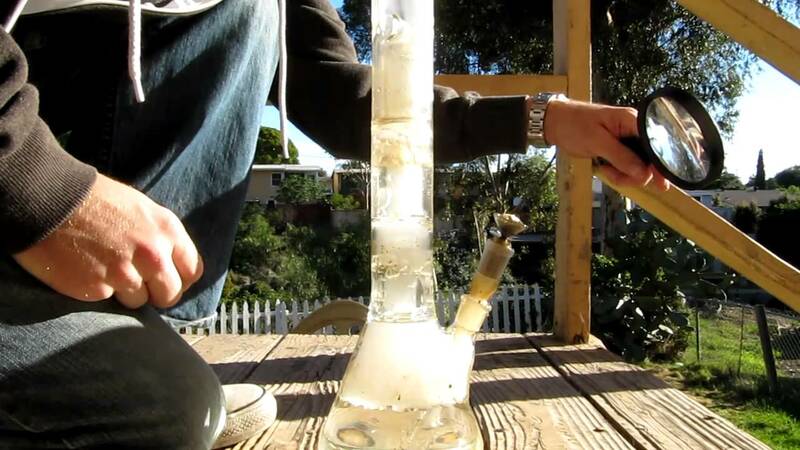 A true marijuana boy scout should always carry a magnifying glass in their back pocket. Maybe you won’t use it to light up a blunt, but you could use it to investigate the trichomes of your herb. Do solar hits work for you? Let us know on social media.